Hello everyone, I am Steve Pinney Jr, the owner of Full Throttle Auto Sales, your used car dealership in the Seattle-Tacoma area. Today we are going to talk about the Lexus Brand reliability, and the cost of ownership. 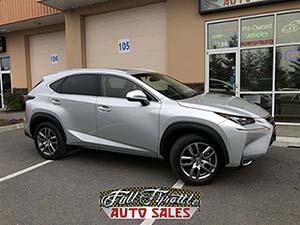 As the owner of a used car dealership in Seattle-Tacoma area, my main concern is the quality of the vehicles we sell, and the long-term experience for my customers. For many great reasons, nearly 50% of the vehicles we stock are Lexus and Toyota. Lexus is, of course, the luxury version of a Toyota, which gives you all the reliability and low cost of maintenance you would get with a Toyota in a luxury platform. So, how Reliable is a Lexus? Lexus comes with a factory bumper to bumper warranty of 4 years / 50k miles, and then a powertrain warranty of 6 years / 70k miles! That warranty is one of the very best in the industry, which makes Lexus one of the best used cars to buy. 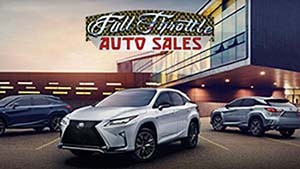 Here at Full Throttle Auto Sales, we specialize in Used Lexus and Used Toyota vehicles that are still under their original factory Bumper to Bumper warranty. We find off-lease vehicles to be the best value in the used car industry. But what about a Lexus outside of warranty? Lexus and Toyota are the only two brands I will buy that no longer have a factory warranty, and here is the reason - We very rarely see any major problems with these brands, and the vehicles are built very well! I believe it’s a car that you can get 300k miles out of! What about the cost of Ownership? Is it going to cost more to own a luxury Brand like Lexus? In most cases a luxury vehicle may cost you more, but there is a huge difference between a Lexus and their competition. Bmw, Mercedes and Audi only offer a 4 year / 50K warranty, that’s were Lexus’ bumper to bumper ends, and their powertrain warranty begins for another 2 years and 20k miles. The cost of ownership is also higher on the European cars, as the parts and labor are both more expensive which can really add up. So, how does that compare to Lexus? Being that Lexus is designed by Toyota, you get the same kind of reliability and low cost of ownership. Lexus will be less expensive to maintain and repair, often needing only regular maintenance such as oil changes and brakes. In conclusion, here at Full Throttle Auto Sales we strongly believe that Lexus is the #1 brand for reliability and low cost of ownership. That being said, we do still strongly believe in buying a used vehicle under warranty. But what if the car you’re looking at is close to being out of warranty, or is already out of warranty? Here at Full Throttle Auto Sales we offer a factory type extended warranty that can extend your bumper to bumper warranty up to 8 years and 120k miles for only $2,995! That’s 70K miles of additional bumper to bumper coverage! But why would you buy an extended Warranty on a Lexus? The main reason is to control the repair cost over that period of time. Lexus is a very good brand, the best, as I previously stated. They can have 20+ different computers and countless parts that may eventually fail, such as: alternator, water pump, starter and all your accessories. These small things can really add up, so be sure to ask about the extended warranty options that are available for your car. We hope you found this Blog helpful, and if you have any questions please contact Full Throttle Auto Sales, your local 5-Star Rated used car dealer serving the Seattle-Tacoma area. Thank you and have a great day!